the pictures dont do any justice but it does provide the perfect amount of light without attracting all the bugs. I am pretty happy with it and thought I would share. The next RAVE is on Oneboatnut's ride! i may have to look into that.... any pointers on how to do it? wow thats really cool - and i thought my disco ball was something (tho it does attract the ladies. I just use massive amounts of beer to attract the ladies. Location:The Jersey Shore of course - where else do you go "Down the Shore"
It was quite simple really. 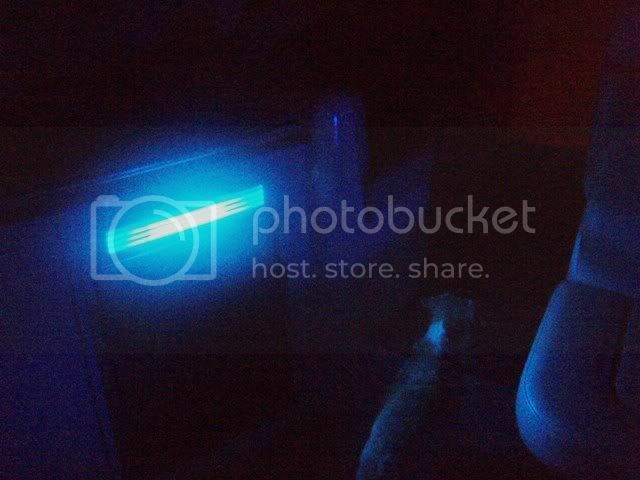 I went to the auto parts store and bought some neon tubes, led strips and an on/off switch. Then I bought some doorbell wire from home depot and wired everything together and walla! How did you mount your disco ball? Good to see someone else that can't leave their boat alone. I've installed underwater lights on my trim tabs. What a head turner those are. Hey Holmes I have been wanting to put underwater lights on my sig 290 but everything I have found is so expensive $800 a light. 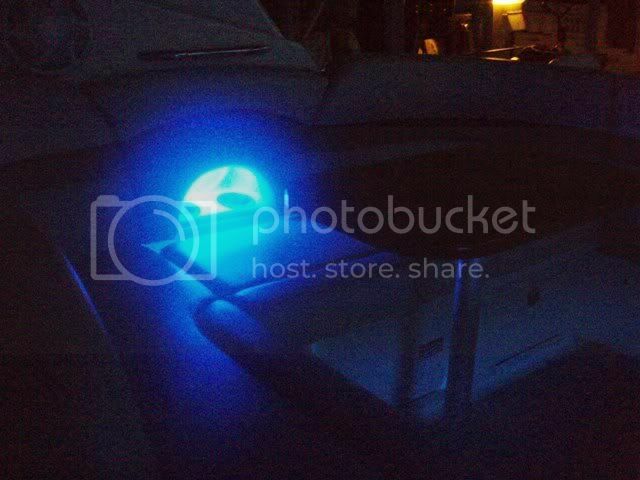 What did you use for your underwater lights? Actually the disco ball is super easy. I went to spencers gifts (theres one in every mall i think) and boat a $20 plastic disco ball. Then i took the wrist strap off my handheld VHF (dont try this at home) and looped it thru the metal support bar on my canvass (depending on the yr of your boat you may not have this option) Then i hung the ball and threaded the power cord thru the metal framing in the canvass and attached to a small household extension cord to plug it in. best $20 i ever spent.... the chicks dig it. I used the Hurley Marine system. They mount right to the trim tabs. I had to have some stainless brackets fabricated to allow the light to mount properly. The tabs on our boats are set under the hull and the lights are designed to stradle the extension ram. This is a small problem but it can be remedied with the brackets. Another guy at my dock bought a similar set for a little less money but had trouble with the vendor. Bottom line is they are great!!! Everyone that sees them wants a set. Check out www.hurleymarine.com. 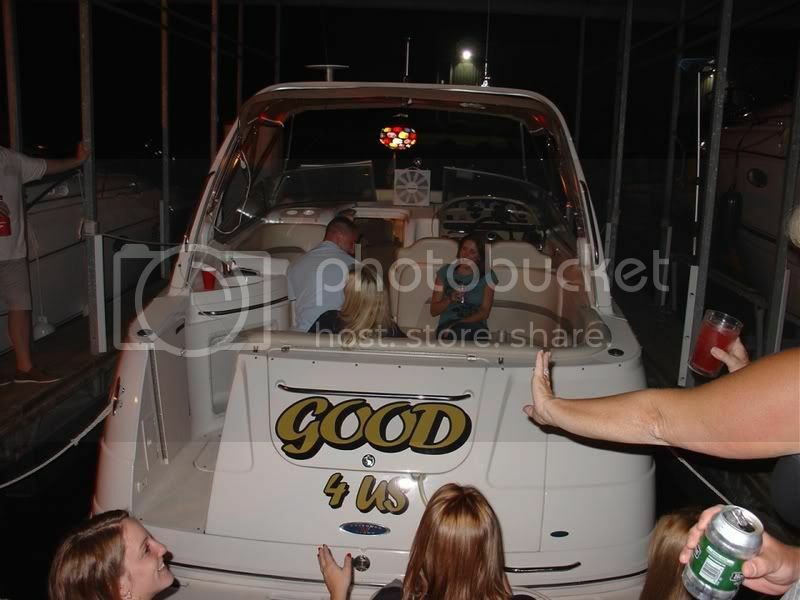 A boating buddy of mine mounted a real full size disco ball under his arch and yes, the chicks really dig it. I hate that my bimini goes under my arch so I cant do anything that cool. I had a local sheet metal fabricator weld a 4" long stainless box (Rectangular) with a reinforcement brace down the middle. Drilled it out on the ends to match the lights and tabs. Mounted those between the tabs and the lights. Stainless fastners and 5200 adhesive/cable clams for the thru hull wiring holes. These things are rock solid. I put a lighted switch in the panel that holds the battery switches. I can get a picture if you need one of the install. Picture of the fabricated mount would be awesome! I have been interested in doing this but the cost is so high. Where did you run the power cables for the lights through the transom at. On my 290, most of the transom under the swimstep is under water when on plane. I drilled a hole directly above the top of the trim tab ram on each side. Just make sure you drill above water line. There is plenty of room underneath the platform. When you're on plane the water line should be even lower. Obviously you want to double check the clearances on the inside of the engine room before drilling. Once I had the brackets made it literally took me 20 min to install both lights and run power lines. I'm heading to the lake this weekend so I'll try and get a photo some how. Thanks for the info...if I get creative, I may try to install some underwater lighting. Under water lights Turn heads at the dock and I did mine for under a $100.00 check them out only $19.95 each and I mounted them under the swim platform. Mighty sweet. Although I can attest to the disco ball thing. I know some women who love it. Are those lights in the water or reflecting off the water? Checked out the website....which lights did you use? How many? How did you install/wire? OMG that is sweet! where did you drill through for the wire? which ones did you use on that link??? Super Bright 1 Watt Luxeon Emitter and internal driver makes our LUXART Lights suitable for many applications including: Under Car, Amp/Speaker Illumination, Under Dash, Pond, Livewell, ect..